This entry was posted on March 23, 2010 at 1:23 am and is filed under audio, photo of the week. You can follow any responses to this entry through the RSS 2.0 feed. You can leave a response, or trackback from your own site. It’s a council ring. This one is in the arboretum, dedicated to the designer’s grandson’s memory. 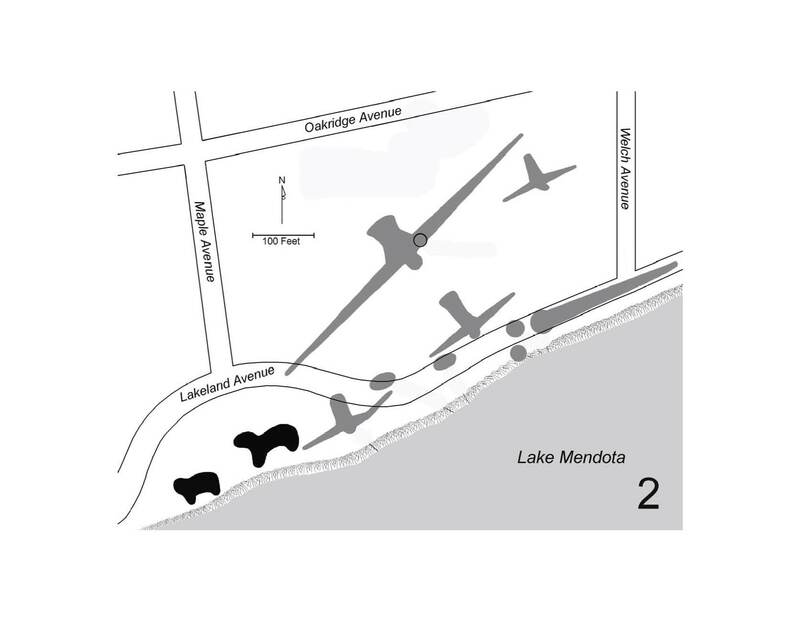 I found your site while looking up information on Madison’s Dead Lake Ridge (a.k.a. Dividing Ridge). The mystery site of the week is the U.W. Arboretum’s Kenneth Jensen Wheeler Council Ring, designed by his uncle, renowned landscape architect Jens Jensen. The Wheeler Council Ring is in the Arboretum’s Wingra Oak Savanna area, between Monroe Street and Ho-Nee-Um pond. I work at the Arboretum, and so I am lucky enough to visit this area regularly. Volunteers are active in this area the first Saturday morning of each month from 9 a.m. to noon to restore the historic oak savanna around the Council Ring. 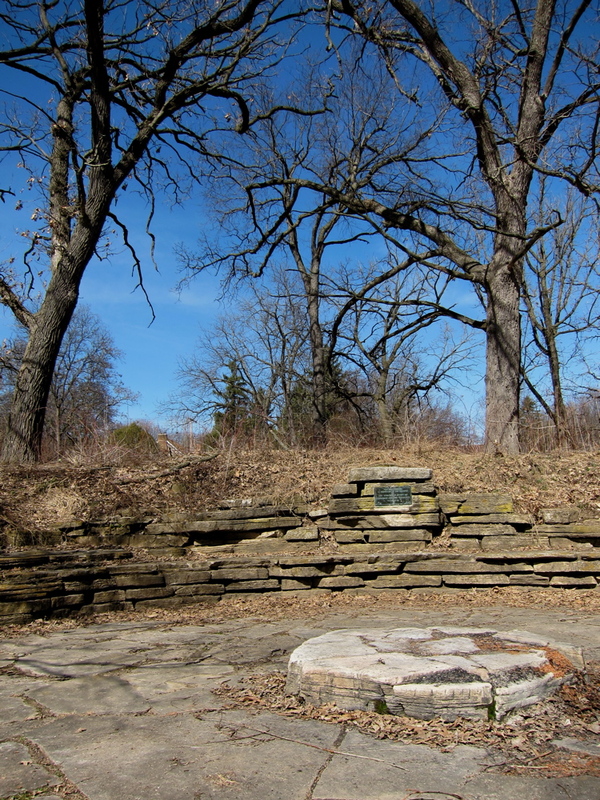 One of Madison’s hidden near westside historic gems – the historic Kenneth Jensen Wheeler Council Ring. 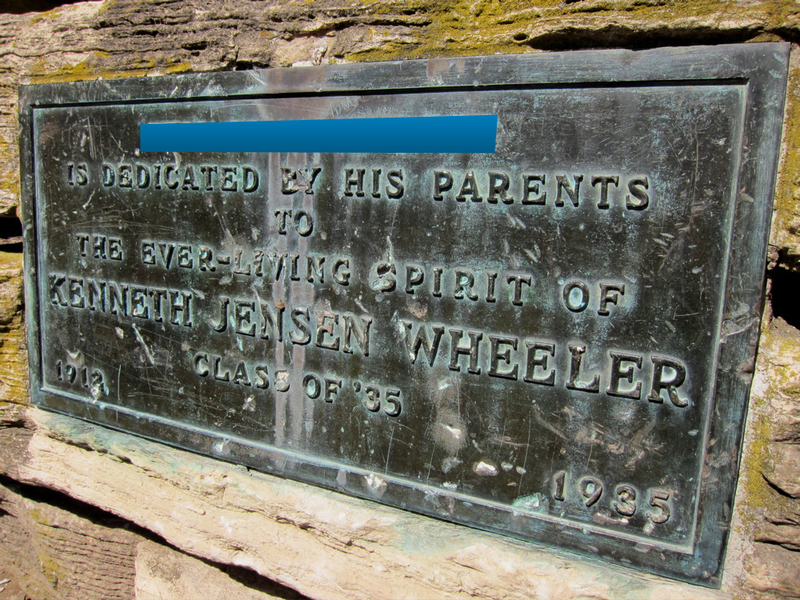 This site was dedicated in memorium to the grandson (and heir apparent) of Landscape Architect Jens Jensen. Wheeler died as a 23 year old senior studying landscape architecture at the UW in 1935. The site was selected by Jensen because of the spring which issue from that location. The springs were believed to be held sacred by the native americans. These photos are of the Wheeler Council Ring found in the Wingra Oak Savanna portion of the UW Arboretum (near Ho Nee Um Pond, just off Monroe St, north of its intersection with Seminole Hwy). I visited this site last year, a very underrated area of the Arboretum for sure. This is the circle that is in the arboretum just off Monroe street just past the shopping district but before it splits into odana and nakoma. There is a ring along the path before you cross the creek and get to the boardwalk and the marshy area – how’s that for descriptive without an actual title? Photo challenge #9 looks like the Wheeler Council Ring in the Arboretum, off the bike path, near the Nakoma end of Monroe St.